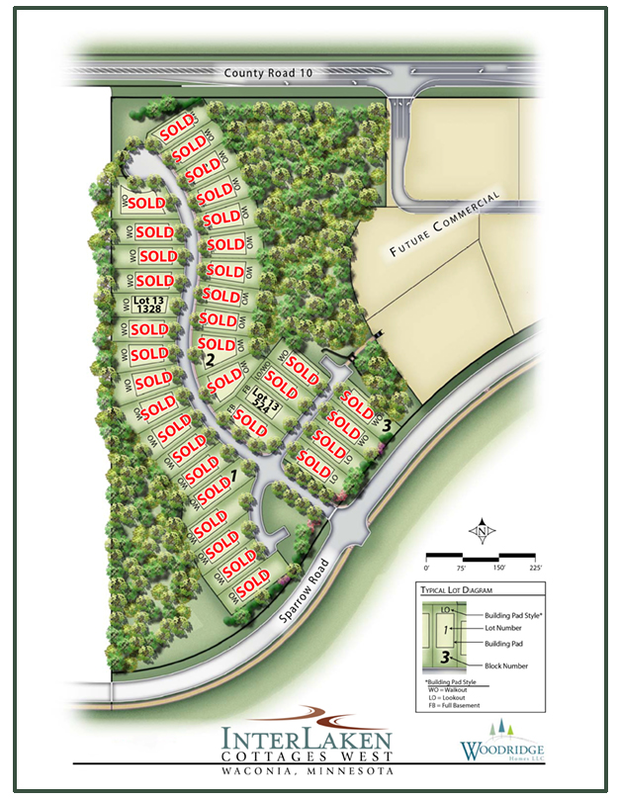 Premier locations with walkout wooded lots. The Cottage Homes at Interlaken offer one level living with an association maintained lifestyle. Each home stands alone and is situated on a private street conveniently located south east of downtown Waconia. These Cottage Homes are part of the Interlaken Development which encompasses a significant amount of wetlands and open park land. 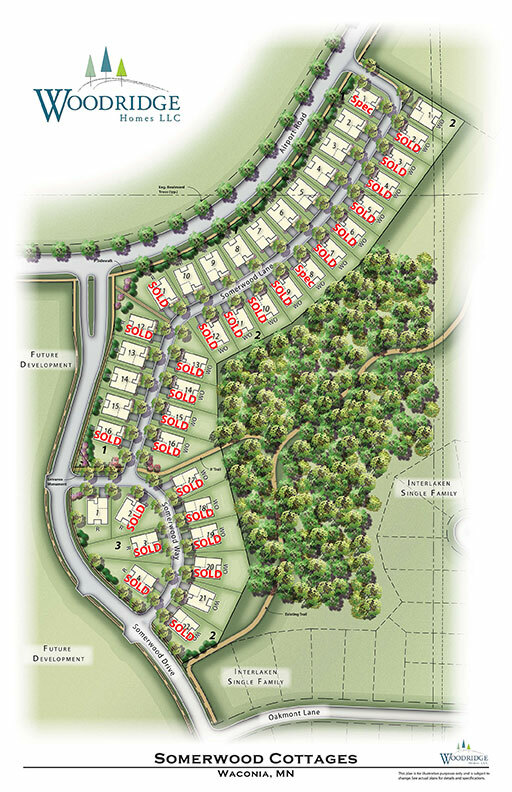 The master plan includes over 3.5 miles of walking trails, private picnic areas and a fishing pier on Reitz Lake. Come and reserve yours now. Packages starting at $380,000.00. Woodridgehomes L.L.C. 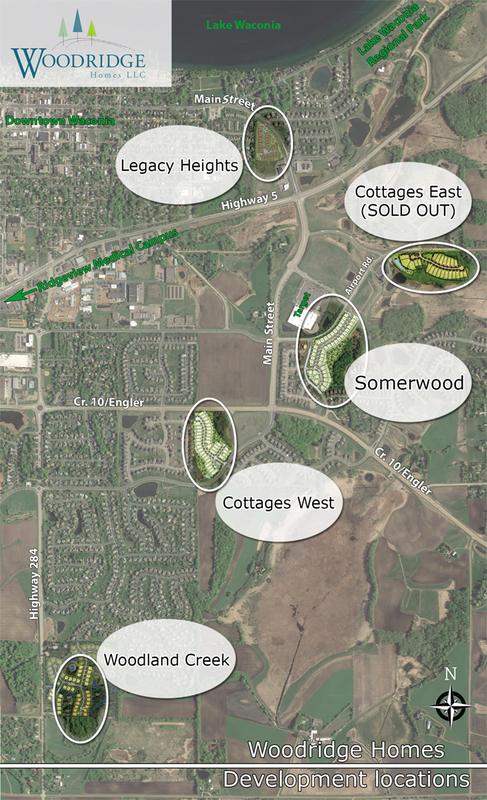 is excited to announce the opening of its 3rd site in Waconia at Somerwood Cottages. Private secluded neighborhood offers wooded walkout lots overlooking City Nature Park. Taking reservations now! Interlaken Cottages East, Interlaken Cottages West, and Somerwood Cottages. *All Interlaken images© courtesy of Plowshares Development.